Businesses have many areas where problems or inconveniences can arise and cause trouble for the company. Finding solutions to these issues can be difficult and take time to implement them. One of these areas is phone calls. 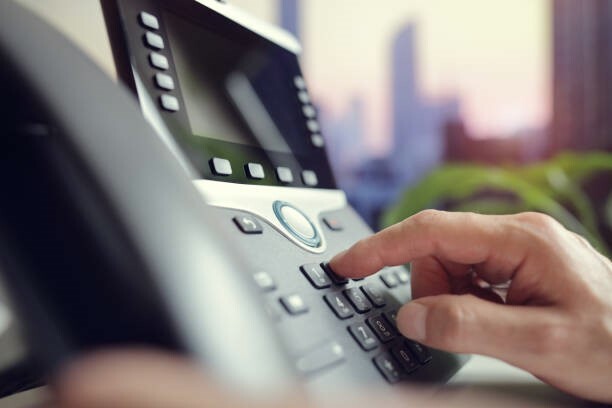 It can be time-consuming and expensive to install a new landline when moving to a new office, or frustrating when you’re out of the office and can’t check your voicemail. However, there is a solution. Voice over internet protocol (VoIP) provides many features that can help businesses with many of their voice problems in addition to increasing productivity and saving money. What can VoIP do for your business? Voicemail to Email Messaging - If you’re out of the office, you may be missing important voicemails or lose a potential customer because you weren’t able to respond in time. However, VoIP has a feature that listens to your voicemail, transcribes it, and sends it straight to your email. Call Forwarding - If you’re ever out of the office for long periods of time, call forwarding can be a very useful tool. This feature allows you to forward phone numbers to any device such as cell phones or laptops, allowing you to answer an incoming call even if you aren’t in the office. Auto Attendant - If your company does not have the resources for a receptionist to direct your calls, VoIP allows you to have an automated version. Auto attendant is an automated message that greets your callers and helps direct them to their desired destination. If your company and many departments, this is a great solution to help streamline your customers' calls. Saving Money - Because VoIP is an IP based voice system, there isn’t as much cost that goes into running and maintaining it. Many businesses have saved between 45%-60% a month by switching to a VoIP system. These solutions and features are just a few of the many that Skynet’s VoIP can provide. If you’re interested in learning how to save money and increase productivity, contact us today! Many businesses have begun running their calls through VoIP whenever they can. This is due to the variety of options they can use outside of the traditional IP calling. Some of these options include faxes, email, voicemail, web conferences, traditional phone calls, and many more forms of communications. Skynet Broadband is a local company based in Enumclaw, WA that aspires to meet all of your VoIP needs. They give you all the features for one low price and with no tier systems. In addition to having low prices, as more features are released, Skynet Broadband adds them to your program for no additional cost. VoIP can be customized to best suit your business needs in order to maximize your success and through Skynet Broadband, your business can be supported anywhere in the United States. Skynet Broadband prides themselves on giving you the best customer service. If issues arise with your VoIP system, you can call and talk to a VoIP technician who will help you solve your problem. Call Skynet Broadband and start getting the flexibility your business needs while saving significant money. VoIP is much cheaper than traditional telecom services, and by switching to VoIP, you can save your business a lot of money. In addition to lower monthly per-line fees, because VoIP is internet based, you can avoid long distance fees. With VoIP, you can have your voicemails emailed to you so you don’t have to be at your desk to receive important messages. VoIP is very customizable. For example, you can have incoming phone calls routed to your cell phone. The setup process only takes a short period of time and expanding or reducing your system is quick and simple. Your VoIP system can work across the country. Whether all your employees share a single building or are spread across multiple states, you can all still share the same communication system. VoIP is scalable with any place that has high-speed internet. If you’re opening up a new office a couple states away, there’s no hassle for you to connect to your existing system. VoIP stays up to date on new features. As new features are released, your provider can easily add them to your systems. No on-site phone server is required, which can help free up valuable space in your offices and eliminate the need for maintenance and repairs. Many other phone systems only support two callers at a time. With VoIP, you can easily conference in your team, allowing you to have multi-person conversations similar to your in-person meetings. Upgrading to VoIP is easy, especially if you have a broadband internet service. Skynet Broadband offers two payment methods for VoIP- per handset, and per minute. Unlike many other VoIP providers, with Skynet Broadband, you can save money whether you use many minutes or if you need a significant number of handsets. Contact us today to see how you can save significant money while increasing the flexibility you get out of your phone system. VoIP stands for Voice over Internet Protocol. It’s an alternative way to make phone calls that give more features and customizability than most other voice systems. To learn what some of these features are, take a look at our 10 Reasons Your Business Needs VoIP article. There are a lot of advantages to using VoIP, which is why it is growing rapidly in popularity. According to Future Market Insights (FMI) forecasts an increase to around 204.8 billion corporate consumer users by 2020. One of the main advantages over traditional voice systems is the cost. 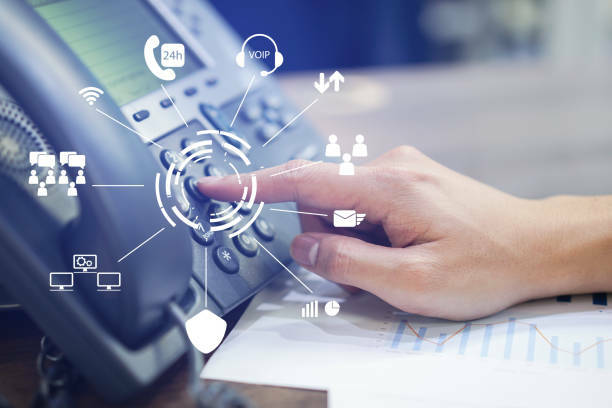 For businesses, switching to VoIP can be an amazing way to cut down on communication costs while gaining new features that help boost communications and interactions between the business's employees and customers. 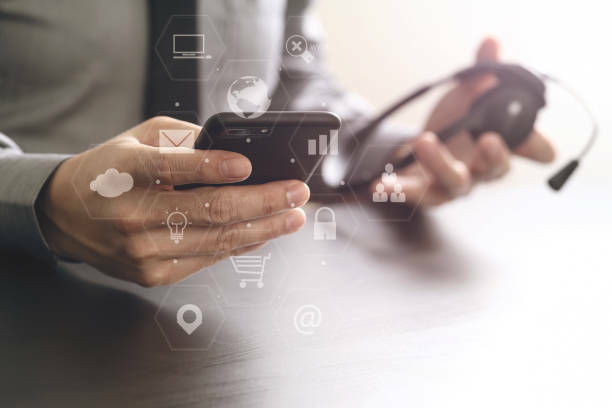 In addition to the current advantages, because VoIP is a relatively new technology, it is expected to have many more additional technological advantages in the future. VoIP’s use with the public is increasing and many businesses are becoming aware of the advantages they can gain from VoIP. VoIP gives businesses great opportunities to save on communication costs. Skynet offers VoIP with up to date features, low prices, and reliable service. Contact us today to see how you can save significant money while increasing the flexibility you get out of your phone system.